Simon Lumb recently spotted an amazing(ly bad) looking games console in a motorway service station which, shall we say, borrows heavily from the design of of the Wii. I couldn’t resist trying it for myself, and picked one up on eBay for a little bit less than £20 including delivery. Quite a bit less than the RRP you’ll see quoted in some places online. A games console, complete with 87 games, for £20. Bargain. Right? Well, almost. The graphics are sub-SNES quality and many of the games are barely playable. The knock-off design is laughable and the bargain basement price reveals itself at every opportunity. The two stick controllers each include four red flashing lights at the bottom, a-la the blue lights on the Wiimote, but these ones don’t do anything except flash irritatingly and constantly. 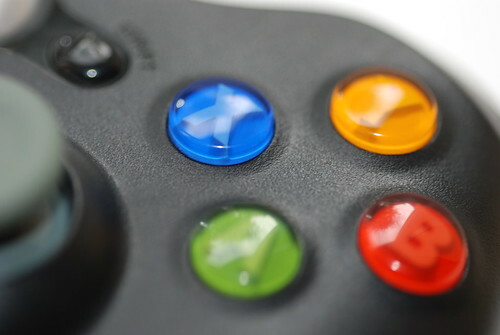 The stick controllers do include a very crude motion control. Certainly nothing like the Wiimote of course, but simply a basic (and flaky) movement detection, presumably through something like a mercury tilt switch. It just about works for the Tennis and Pingpong games but it it painful in the extreme for any of the others, especially baseball and golf where it’s practically unusable. 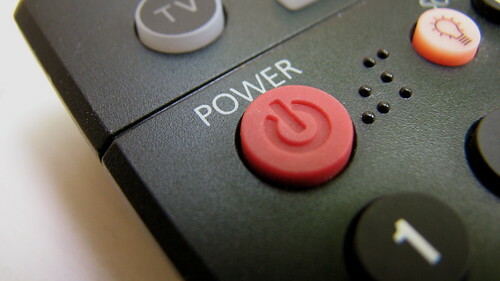 You can turn ‘sport’ mode off to disable the motion control and use the buttons instead (or just use the other game controller which you only get one of but is a much better bet for most of the games). While many of the other games I’ve tried so far have been predictably awful, other have turned out to be quite playable in a retro generation-before-last sort of way. Especially with the volume muted. The quality of the (18) games on the sports cartridge, while still quite mixed, is markedly higher than the (69) games on the arcade cartridge. Some of the names are amazing. How can you not love a console that ships with titles including Cross Strert, Assart, Aimless, Polk, Grot Kid, Knocking, Ramming, Fish Journey and Girl. I’ll try to continue to capture and review more of the games in detail. 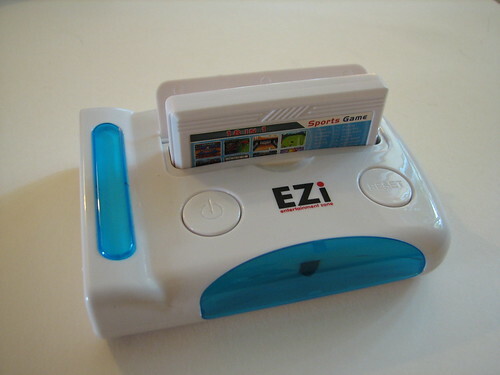 Rather than do it here, I’ve started an owners wiki where I’ve begun to document the EZi’s various games and hardware. It already includes the photos and videos used above, plus Pingpong, Boxing and others, and I’m sure it will grow as I (and others?) add more. I do hope anyone else who is brave/mad/foolish enough to buy an EZi Entertainment Zone will join me there. 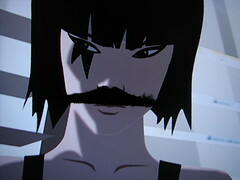 Trials HD is, in short, brilliant. Staggeringly simple (controls: accelerate, brake, lean forward/back. You can’t even steer), easy to pick up (you can pass the early levels very quickly) and very very hard to complete (grrnnnnghhh). The race levels are great while the additional skill games are a lot of fun and act as a reward and incentive for medal hunting in the maps. Best of all is probably the level editor. I’ve already spent nearly as long making my own levels as I have playing the game. 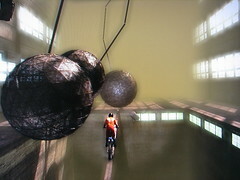 Here are some big swinging balls and a glass bridge I made. Careful now. Unfortunately, any custom maps you create can only be shared with your friends. I’d love to be able to play the best of what’s being created by everyone, but I don’t particularly want to clutter my friends list with strangers. I wish the developers had implemented (and, more importantly, could afford to run) a LittleBigPlanet style global content sharing system. 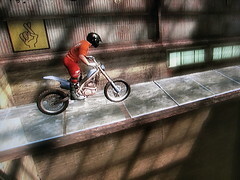 Despite that shortcoming, Trials HD might actually be my favourite game so far this year. And for 12,000 Microsoft points ($15 / £10.20) it’s also great value. 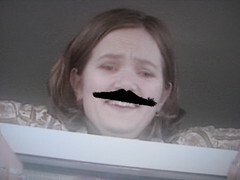 Jesse Thorn kindly sent me a ‘Mustache TV‘ as a thank you for supporting Maximum Fun. (Disclaimer: I donate a small amount of money each moth. As you know, I’m a fan, and a card-carrying member of the Maximum Fun club and "a proud adherent of the principles of The New Sincerity"). 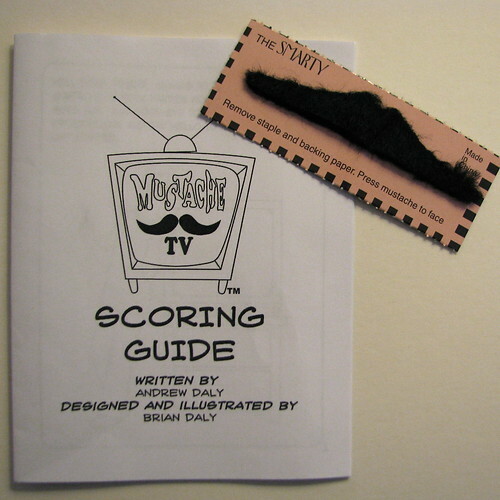 Mustache TV’s lovingly detailed instructions include a scoring system (3 points for a clean-shaved man, 5 points for a lady, 6 points for a world leader) and it turns out to work quite well for games too. Lots of fun. 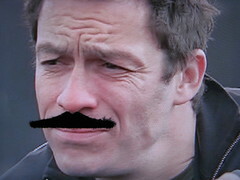 This month, I’ve mainly been playing Burnout Paradise and rewatching The Wire. After watching Chris Delay from UK games company Introversion Software presenting at Playful last week, I went digging around their back catalog. I’m excited about their upcoming game, ‘Subversion‘, but I was pleased to be able to download demos of Uplink, DEFCON and Darwinia. DEFCON is already a personal favourite. I was glad to see that, as with their other games, as well as a Windows version it’s also been ported to both Mac and Linux (the Mac version is being distributed by Ambrosia GTames). It’s strikingly beautiful. Based on a gorgeous world map (with nostalgic Cold War era national borders) the careful placement of silos, airfields, radars and naval units, the escalation of hostilities and eventual all-out nuclear war. Timing is everything. It’s actually pretty tense. 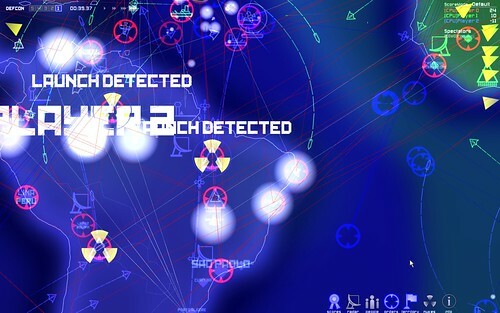 The gameplay is simple, with defined countdowns from DEFCON 5 all the way to 1, at which point (as we all know from watching War Games) the use of nuclear force is authorised. You can accelerate time at will, unless you’re playing the real-time ‘office mode’ game mode. 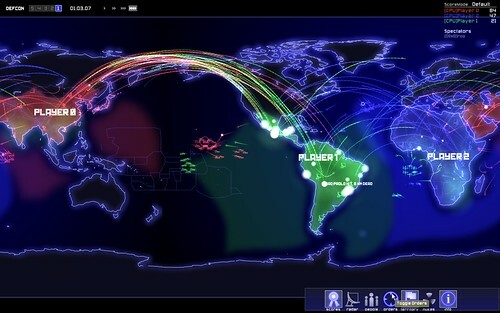 Unlike most war games, DEFCON doesn’t glorify it. The ambient background music interlaced with atmospheric sounds include a very disconcerting coughing noise and the messages which pop up when a city is hit, telling you how many million people just died, are shockingly stark. After playing 3 games, I’m now reliably beating the computer. It must be time to start playing online against human opponents; multiplayer games with strategic alliances look like fun. More detailed reviews (going back a couple of years now) from Gamespot. IGN and many more.